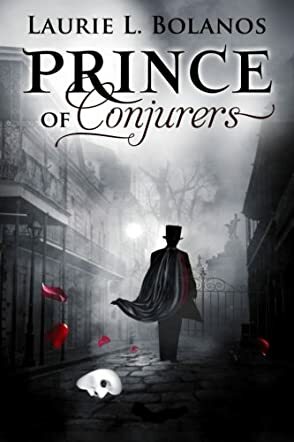 Awesome in its scope and detail, Prince of Conjurers by Laurie L. Bolanos is a fantastic paranormal love story. Julie is a young woman who has been left by a husband she adored for her best friend. Gathering herself after this heartbreak, she devotes her energies to restoring an old New Orleans home. With a very close friend and a potential new boyfriend, she succumbs to the allure of an old bracelet with an interesting history, and a potion she finds under her floorboards, and experiences the effects of a spell that sends her back in time to a previous life. What she encounters as a young woman of color in 19th century New Orleans, the time of the voodoo Queen, Marie Laveau, sets the stage for the growth of her soul as well as a spiritual trip to other times and places. She wakes up in this strange setting to find herself with Erik, the Phantom of the Opera, who is also searching for his one true love. Will Julie and Erik work together to solve an age-old problem or will their personal goals get in the way of the destiny awaiting them all? Intense, deeply moving and majestic in scope, Prince of Conjurers by Laurie L. Bolanos takes you through millennia in an amazing tale of reincarnation, desire and true love. Vivid descriptions, fantastic characters, realistic dialogue, and amazing action provide the framework for a timeless story of love and soul searching at its most extreme. Strong emotion drives the plot and Bolanos deftly captures the individual essence of each of the characters, moving them along to their specific destinies. This is an excellent book that truly captures the reader and invites participation in the unfolding drama.